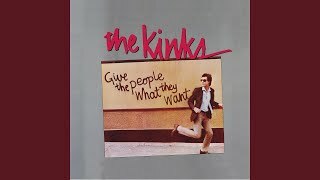 Provided to YouTube by Sony Music Entertainment Around the Dial · The Kinks Give the People What They Want ℗ 1981 Kinks Properties Limited under exclusive license to Sony Music Entertainment Released on: 2014-09-09 Composer, Lyricist, Producer: Raymond Douglas Davies Guitar, Keyboards, Vocal: Ray Davies Guitar, Vocal: Dave Davies Drums: Mick Avory Bass: Jim Rodford Keyboards: Ian Gibbons Engineer: Ben Fenner Auto-generated by YouTube. Provided to YouTube by Sony Music Entertainment Destroyer · The Kinks Give the People What They Want ℗ 1981 Kinks Properties Limited under exclusive license to Sony Music Entertainment Released on: 2014-09-09 Composer, Lyricist, Producer: Raymond Douglas Davies Guitar, Keyboards, Vocal: Ray Davies Guitar, Vocal: Dave Davies Drums: Mick Avory Bass: Jim Rodford Keyboards: Ian Gibbons Engineer: Ben Fenner Auto-generated by YouTube. 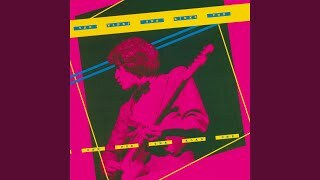 Provided to YouTube by Sony Music Entertainment Celluloid Heroes (Live at Volkshaus, Zürich, Switzerland - November 1979) · The Kinks One for the Road (Live) ℗ 1980 Kinks Properties Limited under exclusive license to Sony Music Entertainment Released on: 2014-09-09 Composer, Lyricist, Producer: Raymond Douglas Davies Guitar, Vocal: Ray Davies Background Vocal, Guitar: Dave Davies Drums: Mick Avory Background Vocal, Bass: Jim Rodford Background Vocal, Keyboards: Ian Gibbons Keyboards, Percussion: Nick Newell Auto-generated by YouTube. 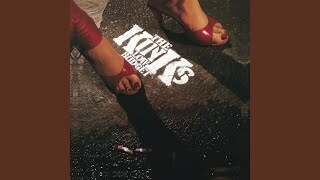 Provided to YouTube by Sony Music Entertainment Killer's Eyes · The Kinks Give the People What They Want ℗ 1981 Kinks Properties Limited under exclusive license to Sony Music Entertainment Released on: 2014-09-09 Composer, Lyricist, Producer: Raymond Douglas Davies Guitar, Keyboards, Vocal: Ray Davies Guitar, Vocal: Dave Davies Drums: Mick Avory Bass: Jim Rodford Keyboards: Ian Gibbons Engineer: Ben Fenner Auto-generated by YouTube. 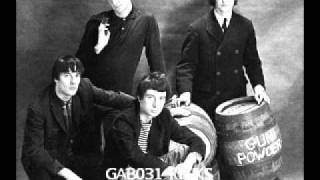 Provided to YouTube by Sony Music Entertainment Catch Me Now I'm Falling · The Kinks Low Budget ℗ 1979 Kinks Properties Limited under exclusive license to Sony Music Entertainment Released on: 2014-09-09 Composer, Lyricist, Producer: Raymond Douglas Davies Guitar, Keyboards, Vocal: Ray Davies Guitar, Vocal: Dave Davies Drums: Mick Avory Bass: Jim Rodford Tenor Saxophone: Nick Newell Auto-generated by YouTube. I say, "you take your road and I'll take mine." 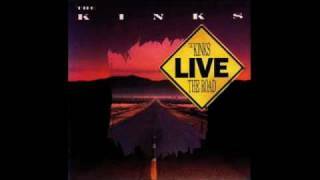 Provided to YouTube by Sony Music Entertainment [Wish I Could Fly Like] Superman (Live at Volkshaus, Zürich, Switzerland - November 1979) · The Kinks One for the Road (Live) ℗ 1980 Kinks Properties Limited under exclusive license to Sony Music Entertainment Released on: 2014-09-09 Composer, Lyricist, Producer: Raymond Douglas Davies Guitar, Vocal: Ray Davies Background Vocal, Guitar: Dave Davies Drums: Mick Avory Background Vocal, Bass: Jim Rodford Background Vocal, Keyboards: Ian Gibbons Keyboards, Percussion: Nick Newell Auto-generated by YouTube.